Towing for Lake City, Ft. White, and all of Columbia County for over 35 Years! We have been a trusted vendor of AAA Roadside Assistance for over 25 years! Founded in 1980, Bryant’s Towing has loyally served Lake City and the Columbia County for over 35 years. We are a family owned business and we seek to provide fast friendly service to you 7 days a week, 24 hours a day. 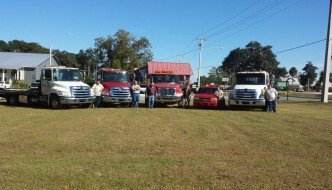 Bryant’s Tires and Towing has a wide variety of services offered from new and used tires, car sales, light mechanic work, winch outs, jump starts, tire changes, light duty towing, medium duty towing and commercial fleet towing services. We have been in the area since the movie Back to the Future came out in 1980. We have towed everything from governors to helicopters. Having your car towed after you break down is almost never a pleasant experience, but at Bryant’s, we offer you some of the best service around and hope that we can make your day better. We are a vendor of AAA Roadside Assistance who often recognizes us for our extraordinary performance in the towing industry! Why should you choose Bryant’s Towing? Our 24 Hour Towing Service is open 365 Days a year. 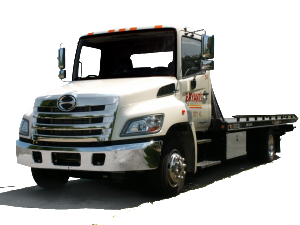 Safe towing is our goal and we will work hard to keep you and your vehicle out of harms way. Customer service matters to us. Breaking down is hard enough, we will help get you back on your wheels! Fast dispatch mean we can get to your aid on the side of the interstate quickly! 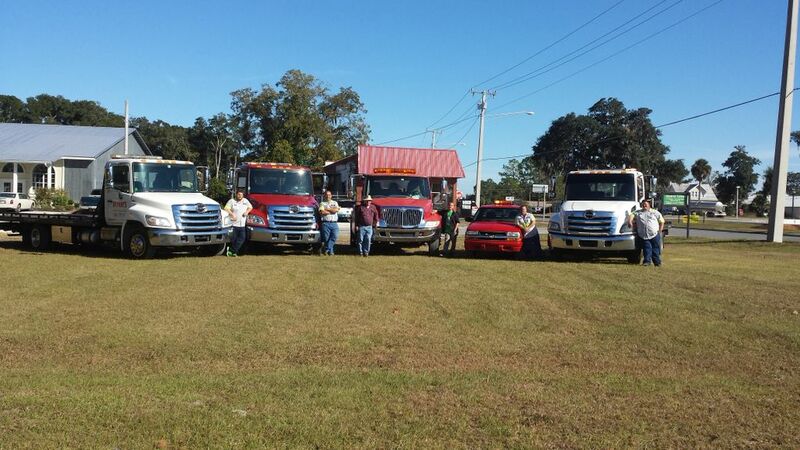 Our fleet is currently being converted to more eco-friendly clean turbo diesel tow trucks! We know the area as well as you do, we can safely get you where you’re going in no time!